The International Currency Association has been working with Chaos to develop their global Cash Matters campaign. Chaos has created the movement's brand identity, developed a cutting-edge website and is providing ongoing community and content management. Chaos created a global cause related strategy for the International Currency Association – Strategy, Naming, Branding, Activation and ongoing content creation for social channels. One of the major strategic outcomes was the creation of a pro cash movement and pro-cash advocacy platform / campaign which aimed to become a comprehensive resource appealing to the widest possible audience, from the general public, business, academia, NGOs and governments globally. Cash matters was chosen as the name of the movement. Chaos chose to make ‘the message’ the name of the movement instead of associating it with the ICA or to its affiliated organisation called the Global Cash Alliance. With an unashamedly pro-cash name, we can help the ICA/GCA spend more time talking about the cause (the importance of cash) rather than explaining what the GCA collectively means. 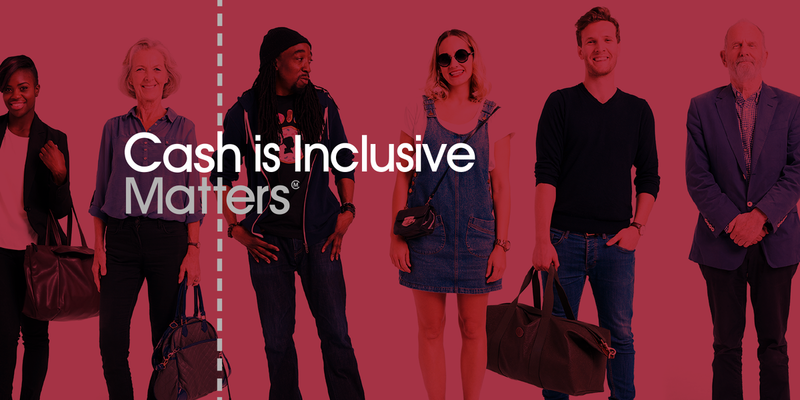 Giving cash a voice, the Cash Matters video captures the emotive elements of day-to-day moments in life where cash is usually the enabler. From a father teaching his daughter how to spend her first banknote to a child supporting local musicians by tipping street buskers, the cash cycle is more than cold, hard cash… the video reminds viewers how cash paves the way to empowering oneself and treasuring one another – beyond geographic boundaries and evolving generations. The series of shots observe cash use by different age groups and backgrounds while exploring foreign cultures or reinforcing local traditions, celebrating the universality and timelessness of cash. Even in today’s busy, always on, digital world… Cash Matters. Edited, scripted and voiced by one of Chaos’ own content creators and animated by one of our top designers, this latest project is a jewel in our video production crown. 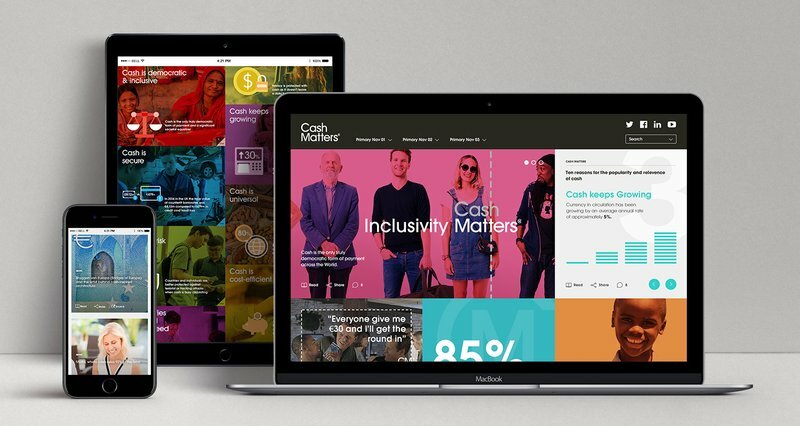 The Cash Matters website needed to become the 'go-to' website for all matters related to cash advocacy and to appeal to Business, Government, Academia, NGO and lay people alike. A modern editorial design style was chosen and encourages easy content digestion, sharing across popular networks and includes extended content such as user polls, quick facts, engaging videos and discussion forums.